I'm loving the fact that in addition to his TV series, Jean-Claude Van Damme hasn't slowed down on the movie roles. One of the many projects he has coming this year is the French thriller The Bouncer. 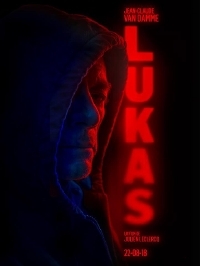 Directed by Julien Leclercq, the movie stars Van Damme as Lukas, an aging bouncer struggling to raise his pre-teen daughter. When an altercation with a client goes horribly wrong, Lukas is thrown in jail and his daughter is taken into custody by the state and to get her back, he has to work with Interpol to bring down a high-level criminal operating in Belgium. I've yet to see any of Leclercq's other films but judging by their trailers and subject matter, this material isn't exactly new to him and the previews for The Bouncer look really promising. It's also really great to see that there are great roles for aging action stars outside Hollywood. Though The Bouncer opens in France on August 22, it doesn't currently have a North American distributor. Can Hollyweird please stop making movies about so and so fighting for their daughter? I could care less about PC gender wokeness (actually I could care less than less), but this premise is so worn out. Just stop.